All our products are proudly made in the United States of America. 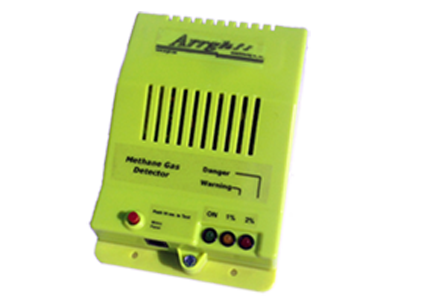 The Methane gas detector protects rooms and other locations where Methane gas can accumulate by monitoring gas levels. Concentrations of 5% to 15% mixed with air can be explosive. Sparks or hot surfaces can ignite them. The Methane gas detector will provide a warning and facilitate dissipation of the Methane, by operating alarms and exhaust fans before it reaches the lower explosive limit of 5%. 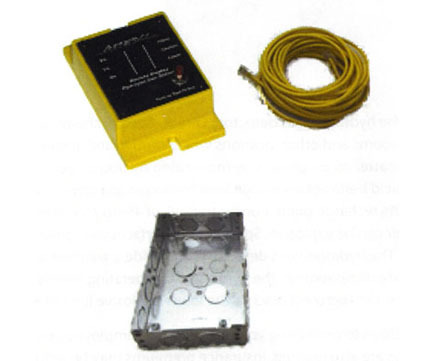 Two models are available: AC or DC, Optional accessories include steel junction box for mounting on wall or ceiling, remote panel for eye level placement, and modular cable for connecting the remote to the detector.